"Historically, 'scratch and dent' referred to loans with egregious errors in underwriting or compliance," said Mary Kladde, CEO of TCS. "Now we're seeing the GSEs issue repurchase demands on performing loans due to minor flaws in origination, such as bad comparable selections." DENVER, Colo., Jan. 22, 2015 (SEND2PRESS NEWSWIRE) — Titan Capital Solutions (TCS), a wholly-owned correspondent investment subsidiary of mortgage services provider Titan Lenders Corp., today announced it has begun purchasing lenders’ “scratch and dent” production – loans rejected by the GSEs and private investors due to data, document and compliance errors with varying degrees of severity. Adding “scratch and dent” represents a significant product expansion for TCS, which previously purchased only jumbo loans from its approved sellers. “These performing problem loans provide a significant window of opportunity for TCS to expand. Based on our operational success across the mortgage acquisitions market, we are confident TCS will provide a compelling and aggressive source of liquidity for these loans,” Kladde added. Eligible performing problem loans include Conventional, Jumbo, non-QM and agency-ineligible loans. Any bank, lender or investor looking to liquidate these loans from their warehouse lines or portfolios should email bids@titancapitalsolutions.com. 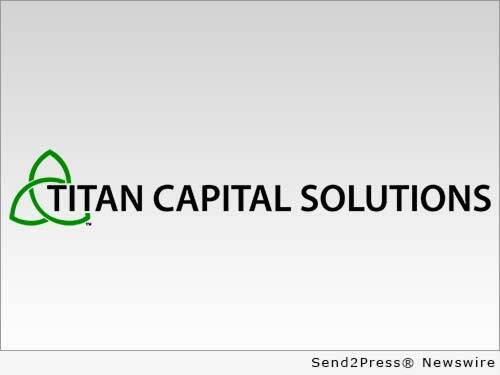 Titan Capital Solutions ( http://www.titancapitalsolutions.com/ ), a wholly-owned subsidiary of Denver-based Titan Lenders Corp., was created to support a secondary/capital market strategy for the correspondent lending channel. TCS is committed to correspondent mortgage lending best practices and has been staffed with deeply experienced correspondent specialists. In addition, TCS embraces a leadership role in the restoration of a private investment marketplace for the mortgage industry.